This label is rarely spoken of outside of Hong Kong, despite the well deserved cult following amongst the city-state's more fashion forward youth. Cutting-edge designs and premium tailoring make Initial one of the most under-appreciated clothing companies in the world. This Hong Kong fashion label bills themselves as "the unusual experience," placing focus on high design while maintaining mass production affordability. Unusual is certainly one way to describe the style here, but we think we can do a bit better. Picture a Dandy with fitted cutaway wool blazer with delicate deconstructed details and strategic raw edges (tails and all), layered with light weight fabrics, cravates, draped collars, leather belts, and fashionable spats. The look is like nothing else you'll find in mass market shopping, refined yet edgy, tailored yet comfortable, and always contemporary, with an keen eye to the past. As a result most pieces tend to look far more expensive than they actually are. These guys know their stuff. A lot of liberties are taken with over-the-top styling, but special attention is always paid to quality and fit. They use all limited edition fabrics that are scrapped every quarter, making each collection feel individual. Accessories are where you'll get lost. Drawers and shelves are packed with costume jewelry, shoes, belts, and gloves, all designed with the same historic feel. Got enough cutting-edge clothing? They produce a line of everyday essentials in super comfortable fabrics—although even the essentials possess enough of the core collections flare that they never seem basic. 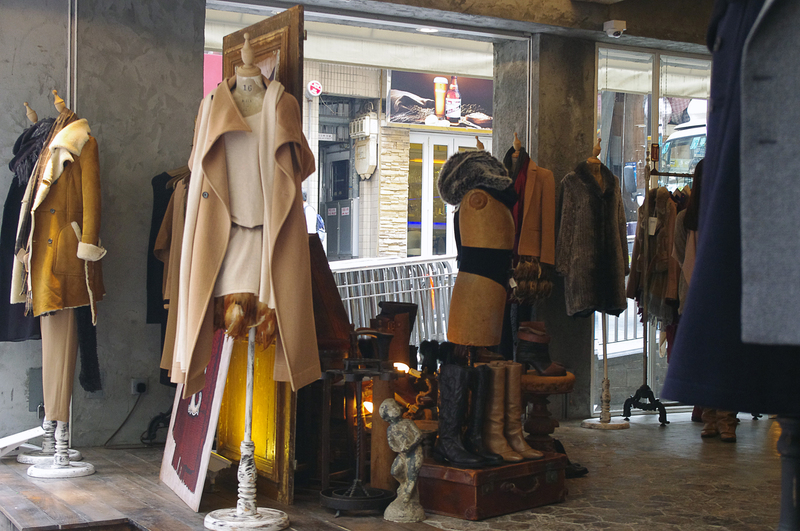 Each boutique is individually decorated and curated with something surprising to draw you in. You'll find trendy hair salons, cafes, and even galleries featuring up-and-coming international artists tucked into the different locations, which does a great job of reinforcing the lifestyle feel this brand is creating. Because there are over a dozen locations, opening hours vary widely. The Cameron Road location has a nice cafe where you can grab a cappuccino and marvel at your lovely new threads.